The influence of social media on modern business is ever increasing. But social media often comes with challenges, such as managing multiple accounts. It is also difficult to keep up with the rigorous task of putting out relevant content that is unique and engaging. There is no question that this responsibility can be time-consuming. However, the presence of social media management tools allows you to automate some of your social media tasks. In doing so, you can properly manage your account in less time. Here are some of the social media management tools you need to consider, especially if you are on a tight budget. HootSuite is an online management dashboard that helps you manage more than one social media account. The free version permits three different social media accounts, while the paid version allows unlimited accounts, plus some other extra benefits. With HootSuite, you can execute a campaign from one web-based platform across multiple social networks, such as Facebook and Twitter. Starting with the free package is a good option. It can solve most of your social media marketing needs as a small business. SocialOomph was originally designed solely for use on Twitter and was formerly known as TweetLater. The company eventually modified its features to accommodate other social networks and changed its name to SocialOomph. You can manage up to five Twitter accounts, and you can send up to 12 tweets per hour. You also get a 7-day trial of the professional features without any termination of your free plan after your trial elapses. While free users can send up to 12 tweets per hour, professionals get unlimited tweets. Free users don’t get the rotation or recurring options, which means their main benefit is that they can schedule messages for future posting. Buffer makes post scheduling awesome and makes your posts consistent. You can queue several posts and publish them at a later date. Also, you can set more than one buffering pattern to guide how often you want your updates to come out at a certain time of the week. TweetDeck is a social media dashboard application for managing Twitter accounts. This platform is completely free, and it does a perfect job of helping you manage and organize as many Twitter accounts as you want. Everypost allows you to curate, customize, schedule, and publish across multiple social media accounts at once. It supports popular social networking sites such as Facebook, Twitter, Google+, LinkedIn, Pinterest, Tumblr, and Dropbox. One of the unique features of Everypost is that it allows you to customize your posts for each social page before publishing. So you can customize your content to suit the social platform on which you want to publish. Everypost does not presently have any form of social analytics, but plans to offer this feature in a later version. MavSocial functions like most social media management tools. It saves time and allows you to post on various social media platform from one interface. Most of its best features are restricted to the paid packages. Editors Note: GrowMap uses MavSocial. You can read more about it in Amazing Visuals: Where to Get Them and How to Push Them to Get More Traffic. Followerwonk, formerly known as SEOmoz, is a Twitter analytics tool. The free version unlocks most of the best benefits. Micheal Durodola is a Digital Marketing Specialist/Strategist with experience in SEM and Social Media Marketing. It’s hard to cope up with different social networking accounts these days. It’s 2018 and still the piece of information provided serves great in managing the social life and such a timesaver. I have given a try on all of these tools but I gotta say I love using Everypost. Thank you for sharing, Now I am using Everypost to publish my posts to social networking sites. The free version have got pretty cool features. Thank you so much for sharing this post, as we were manage all social media accounts individually but hope now through one of above given tolls we can manage all accounts from one place, will be try shortly. i tried hootsuit and buffer . they were great tools . I suggest u to try them . thank you for writing this post . big like ! Very insightful and very informative post. This will eventually help us in growing our Freshwater Medical Psychotherapy services through social media ads or marketing. Thanks for sharing. You gave a very clear and useful information on this Social Media Management tools. looking for more articles from you. Hey Micheal. All the sites you’ve mentioned in post are really good. It is really considerable social media management tools. This is very helpful. The use of social media in business is ever increasing and without doubt on has to at one point manage several social media accounts. Really given social media tools are very helpful to increase your traffic as well as ranking on search engine. This is a very helpful article about social media managing tools. Thanks a lot for sharing this article with us. This post is great i have also tried few things above and hope to get a great result from them too. Also can you please suggest me a good social plugin for my spiritual blog. mY BLOG .It is a spiritual blog currently i am using sumo but it is limited . Also thanks for this great article. I am using TweetDeck and its the best for Twitter. Looking for the same tool for Facebook, Pinterest and Google Plus. If you can suggest any. Thanks in advance. Hello Badshah, I just suggested some social media management tool. You just need to go through it and look for the one that suits your marketing plan. Thanks you for sharing this! 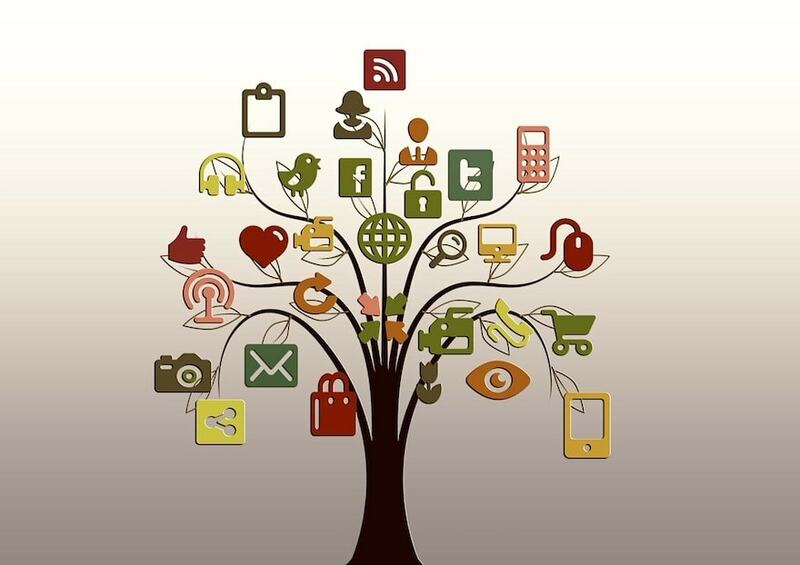 With social media in bloom its so important to stay on top of WHICH Social media sites to be involved with! When I started my wig business I sent over 400 wigs to the USA… branding was pretty difficult and I spent all my time on MySpace! TOTAL waste of time. Ah but Ces’t la vie… I really messed that up. Now I know better! @GivernyIt I am glad you find the post interesting.it’s good you have an online marketing strategy before you start. It will save you time. Not all social network site will be perfect your strategy. Hey, thanks for sharing such an important information..! I will definitely try these steps..! I’ve used keyword tracking before and I got a great result from. Thank Michael, It’s an awesome article. This is very helpful for me, I’m going to find social media manager. Yes I agree with you that the influence of social media on modern business is ever increasing.Thanks for the Tools you shared with us. After long time i got this appropriate information , nice and great stuff . Thank you for giving me 7 social networking tools that i am looking for now. Very useful for me thank you wish you in the future will have better posts, I always support you ! Very good, thank you so much ! @SlideFactory. I’m glad to hear that you find the information on social media tool useful. Hope you make best use of it. Hootsuite and Buffer are awesome. I use them in several times. Other 5 , I will try them. Thank you for this informational Article. I am glad you find this post on social media management tool resourceful. Thank you for taking time to read the post and commenting.